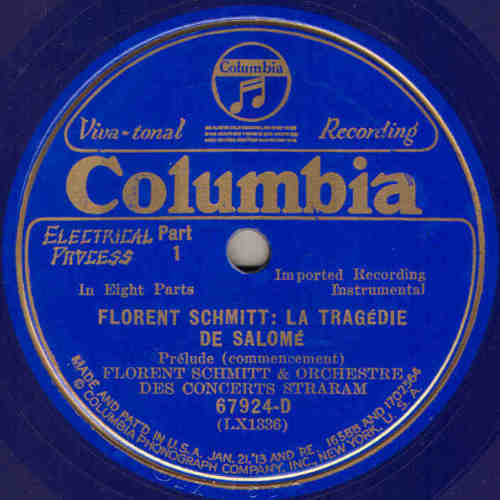 Without question, La Tragédie de Salomé, Op. 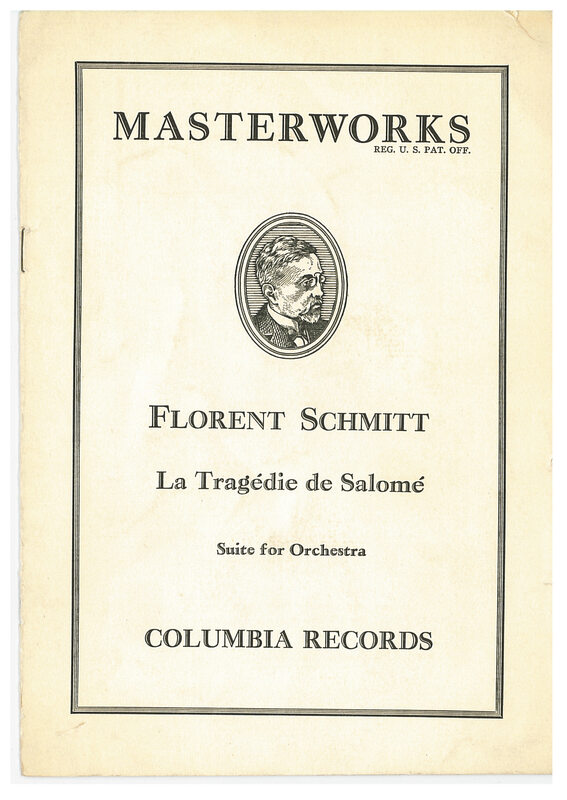 50 is Florent Schmitt’s most famous composition. Composed in 1907 and revised in 1910, this ballet is far more often performed as a symphonic suite these days (although the Mariinsky Ballet revived the stage version in 2013). The composition became famous from the very start – recognized by music critics and audiences alike as one of the best examples of French tone painting. It’s also the composer’s best-known “orientalist” work – a bright star in a constellation that also includes other femme-fatale heroines like Cléopâtre, Abisag, Salammbô and Oriane. 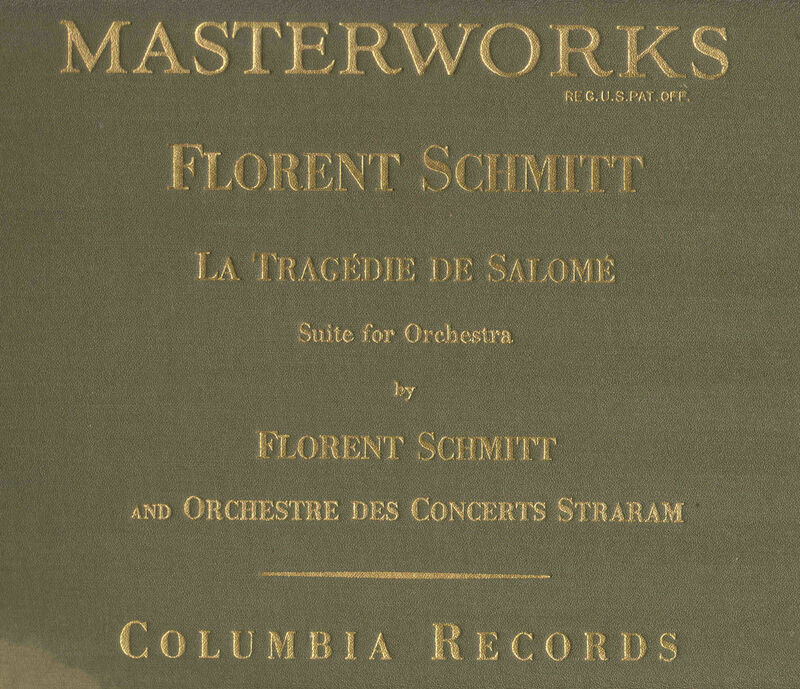 Florent Schmitt himself conducted the second recording of La Tragédie de Salomé in Paris in 1930, leading the Straram Concerts Orchestra. This is the album booklet from the American Columbia release (Set M-157) which sold for US$8 in 1931 — the equivalent of more than $100 in today’s dollars! So it’s not surprising that Salomé is also the composition of Schmitt’s that has enjoyed the most commercial recordings over the years. Beginning in 1929/30 – when the first two recordings were waxed within a few months of one another – and continuing up to the present day, there have been no fewer than 15 commercial recordings made of this music. One recording of the original unpublished 1907 ballet has also appeared – a fascinating reading of a version that’s nearly twice as long as the one the world knows best. 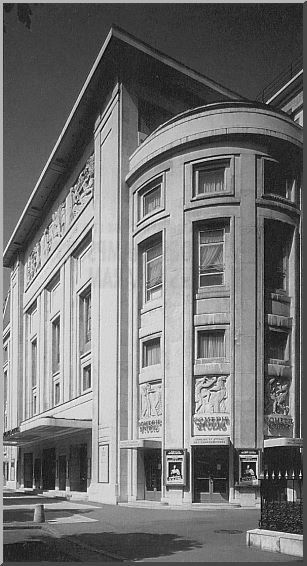 The Théatre des Champs-Elysées in Paris, where Florent Schmitt directed his own recording of La Tragédie de Salomé with the Straram Concerts Orchestra in 1930. We are very fortunate to have a variety of interpretive approaches to this music. I have listened to all but one of the recordings (the elusive 1942/43 Charles Munch reading). While a number of the recordings appeal to me more than others, to my ears each of them has its own merits. Indeed, Florent Schmitt has been quite lucky in the quality of conductors and orchestras that have been inspired to bring this music in front of the microphones. In fact, one recording could be considered a “definitive” interpretation because the composer himself is leading the musical forces. 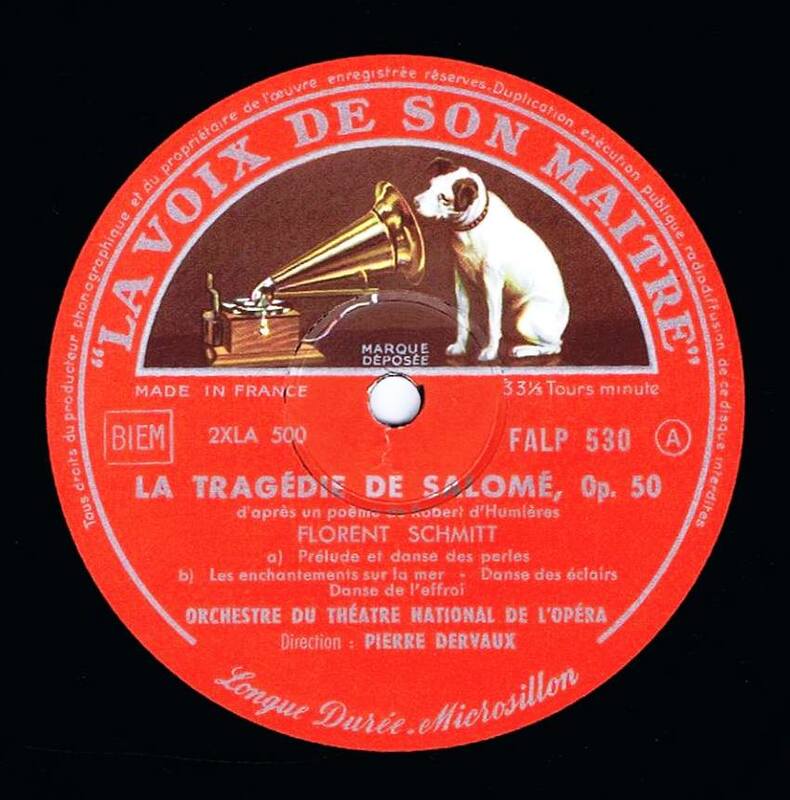 Florent Schmitt’s own recording of La Tragédie de Salomé (1930), in its American Columbia release. Pierre Dervaux’s recording was made in October 1957, in the presence of the composer. 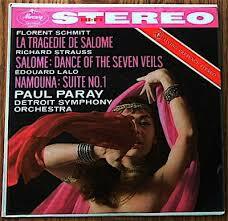 Grand Prix du Disque winner: Paul Paray’s 1958 recording of Salomé — the first release of this music in stereophonic sound. 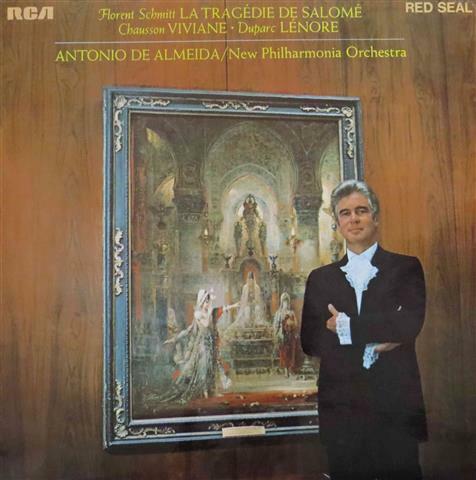 Antonio de Almeida’s RCA recording with the New Philharmonia Orchestra (1970). 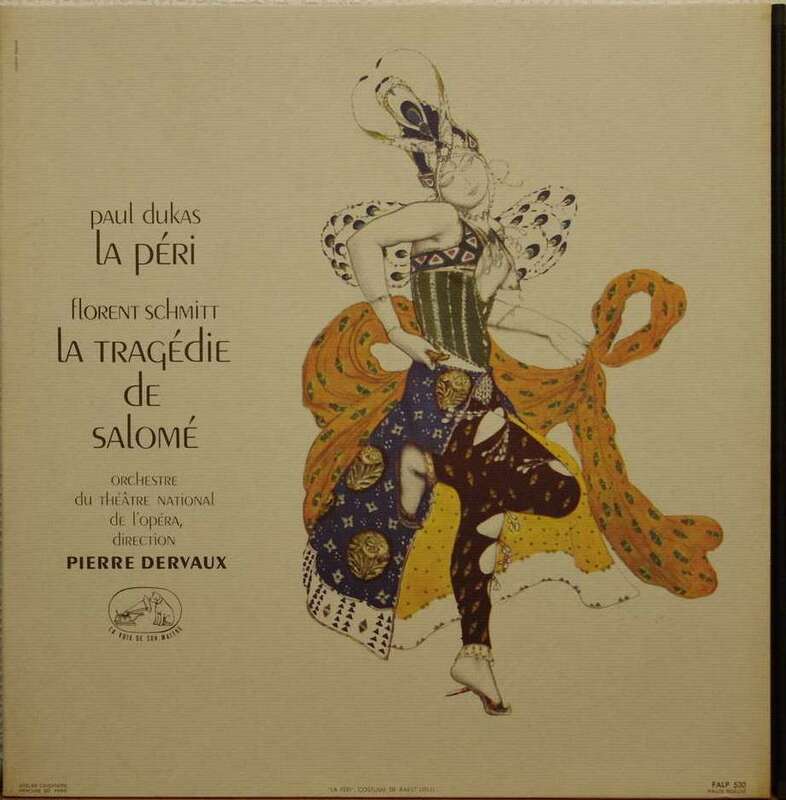 Double the music, half the musicians: The original 1907 version of Salomé, recorded by Patrick Davin and Marco Polo in 1991. Sylvain Cambreling’s recording is part of Hanssler Classic’s multi-volume survey of the Ballets Russes’ Parisian stage productions from 1900 to 1925. Transnational flair: The superlative 2010 Chandos recording features a French conductor and Brazilian musicians. A measure of the importance of the Salomé score — and of the performers involved — is the fact that nearly all of these recordings remain available today in CD or download formats — even most of the ones from the 78-rpm and pre-stereophonic eras. Pierre Dervaux and l’Orchestre National de la Radiodiffusion-Télévision Française (radio broadcast performance from May 20, 1958). Forgotten Records FR 918, coupled with works by Chabrier, Debussy, Lalo and Ravel. Pedro de Freitas Branco and l’Orchestre National de la Radiodiffusion-Télévision Française (radio broadcast performance from February 21, 1955). 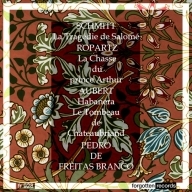 Forgotten Records FR 928, coupled with works by Aubert and Ropartz. This entry was posted in Ballet, Classical Music, Composers, French Composers, Uncategorized and tagged Classical Music, Florent Schmitt, French Composers, Jean Martinon, Paul Paray, Pierre Dervaux, Salome, Schmitt, Sylvain Cambreling, Tortelier, Tragedie de Salome, Yannick Nezet-Seguin. Bookmark the permalink. « Saxophonist Christopher Bartz talks about Florent Schmitt’s Légende (1918) and its pride of place in the saxophone repertoire. I wish someone would reissue the original 1907 version or, even better, release a new recording. 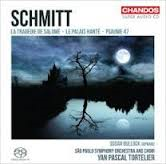 I’ve only recently discovered Schmitt and would love to hear more Salome!